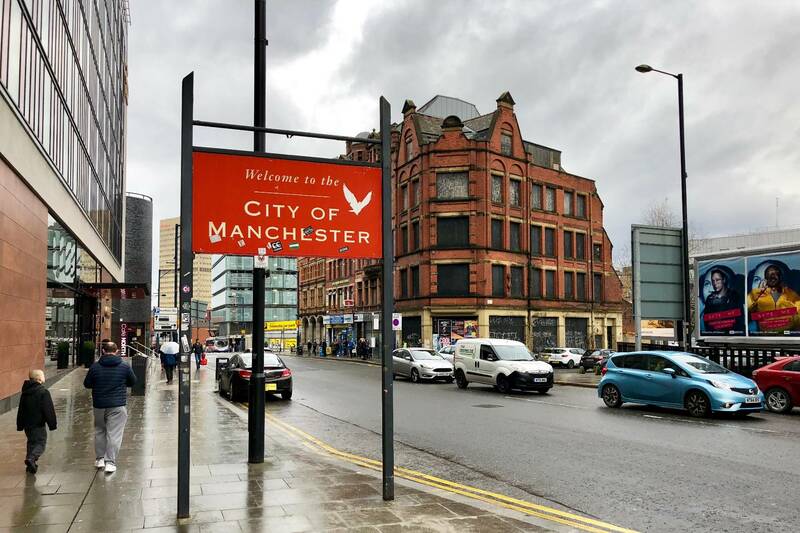 Manchester is second only to London for traffic jams. That’s according to a new league table from the National Infrastructure Commission (NIC). The NIC examined the ease with which commuters could drive from one area to another in peak times versus off-peak times. The areas with the biggest disparity between the two were considered the most congested. Liverpool and Birmingham follow in third and fourth behind London and Manchester. Unsurprisingly, the top 25 traffic hot-spots on the table are all urban areas. The highest ranked non-“primary urban area”, at number 26, was a combined area spanning Accrington and Rossendale in Lancashire. 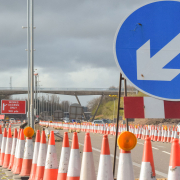 Sir John Armitt, NIC Chairman, said the data demonstrates the need for significant investment in the UK’s urban road networks. Its plan to amend the situation? Put the power (and money) back in the hands of the local leaders – those that have a better understanding of what their constituents need and can develop their own integrated plans to battle traffic. A small number of cities will benefit from the Commission’s attention. Any lessons will passed on to other areas. “From Manchester to Bournemouth our cities are facing gridlock – creating misery for people trying to get from A to B,” said Sir John. The NIC is an independent organisation tasked with advising the government on how the country’s infrastructure needs to evolve. The league table was assembled as part of the five-yearly National Infrastructure Assessment, now calling for an extra £43 billion for urban transport improvements by 2040. 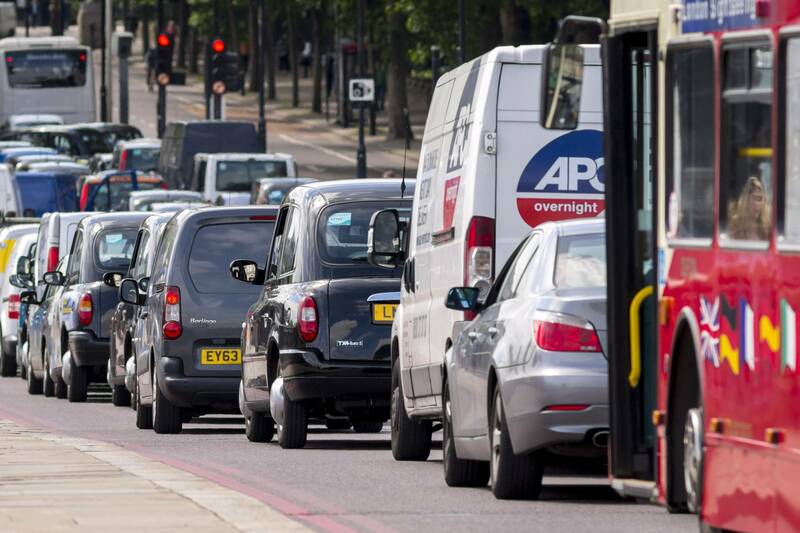 Transport for London (TfL) has announced it will be suspending its congestion charge over the festive period – but has warned that some areas will face extra traffic caused by roadworks. 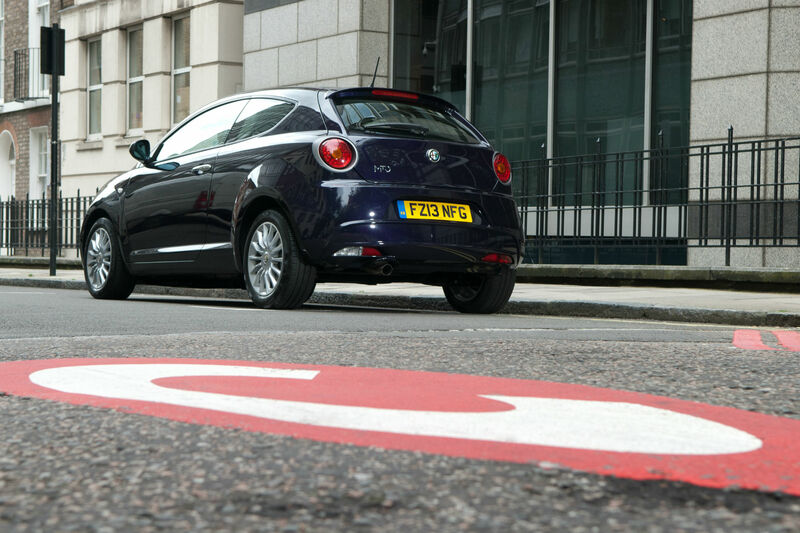 TfL said today that the congestion charge will be suspended from Saturday 24 December until Monday 2 January inclusive. The daily charge (£11.50) will apply again from Tuesday 3 January. The charge, which normally applies in Central London on weekdays between 7am and 6pm, is traditionally dropped over the Christmas period. Victoria Embankment: Until the end of the day on Friday 23 December, there will be a westbound lane restriction on Victoria Embankment at the junction of Temple Avenue. This is to facilitate repairs to a gas leak. Tower Bridge: Until 30 December, Tower Bridge is closed to all traffic while the City of London Corporation carry out major essential maintenance works. Roads in and around the area will be busier than usual. A signed diversion route is in place, via London Bridge northbound and via Southwark Bridge southbound. A1 Holloway Road: Planned closures of A1 Holloway Road continue until mid-January 2017. This is while work is carried out to replace Upper Holloway Bridge. Finchley Road: Until 31 December, there are lane restrictions on A41 at Finchley Road at the junction of College Crescent. This is for utility works. Victoria: Until 27 January, there are lane restrictions on Buckingham Palace Road at the junction of Victoria Street. This is for construction works. Archway: From 21:00 on Saturday 17 December, the gyratory around Archway Tube station will be removed and switched to two-way traffic. From 05:00 on Sunday 18 December, Highgate Hill will be permanently closed to vehicles and there will be no right turn from St. John’s Way to Archway Road or from Junction Road to Holloway Road. Central London: From 09:00 until 18:00 on Monday 19 December, roads in the area will be busier than usual, including Great Portland Street, Regent Street, Whitehall and Parliament Square. This is due to demonstrations. Central London: From 08:00 on Monday 26 December until 06:00 on 3 January, there will be lane restrictions on A501 Euston Road between Edgware Road and King’s Cross. This is for TfL maintenance and utility works. More information on travelling in London over the Christmas period can be found on TfL’s website. Half term holidays are on their way for many areas of the UK – with many families hoping to get away on one last break before winter truly arrives. 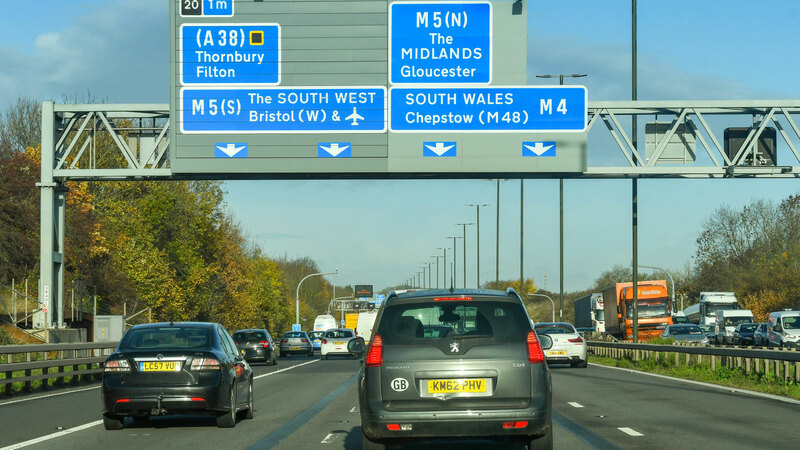 Car parts supplier Euro Car Parts has surveyed 1,000 parents to find out when most families are hoping to hit the road this half term – revealing the times and dates during which different areas are expected to experience unusually high levels of traffic. Shhh: are these Britain’s quietest A-roads? The survey revealed that most parents will be heading away on their holidays on Monday 24th October, closely followed by Saturday 22nd. 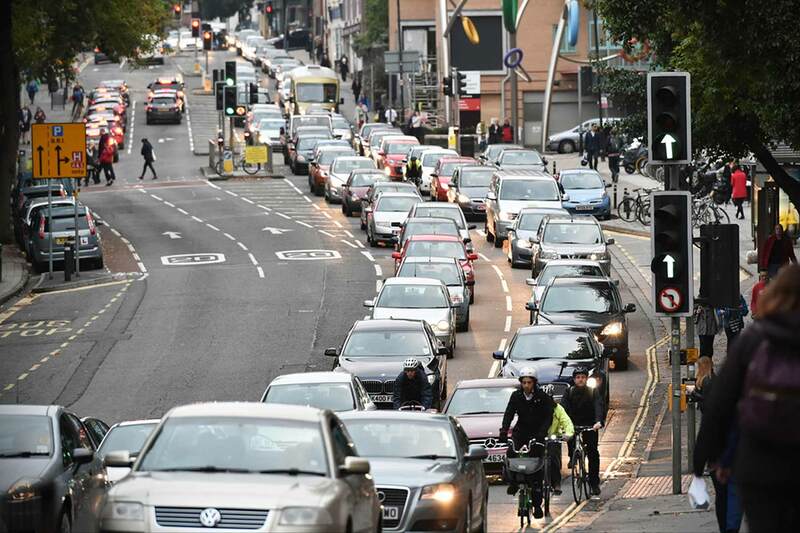 Euro Car Parts says that areas including Birmingham, Nottingham and Southampton will bear the brunt of the traffic, while tourism hotspots such as the Cotswolds and South West will also be busy. The roads will be at their most congested at around midday – although the majority of parents say they’d rather get on the road earlier in the day. On average, most holidaymakers expect to drive around 100 miles during their holiday – increasing to 120 miles for those in Nottingham and Birmingham. These tips include investing in a portable DVD player, or download audiobooks onto your phone to keep little bookworms amused while avoiding travel sickness. 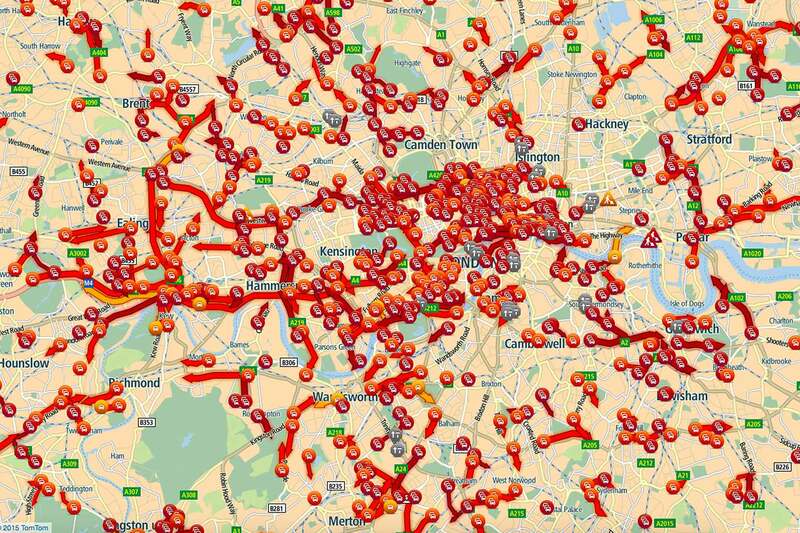 Experts are warning of a so-called ‘carmageddon’ as an estimated 20.7 million vehicles are expected to hit UK roads this weekend. Transport information supplier Inrix says that predicted hot weather and the last three-day weekend this side of Christmas means that twice as many cars as usual could be clogging up our motorways. That’s backed by the RAC’s Traffic Watch study, which suggests Saturday will be the busiest day – with 5 million getaways planned. Even Brexit could be contributing to the chaos, with more people choosing to holiday in the UK because of the weaker pound. 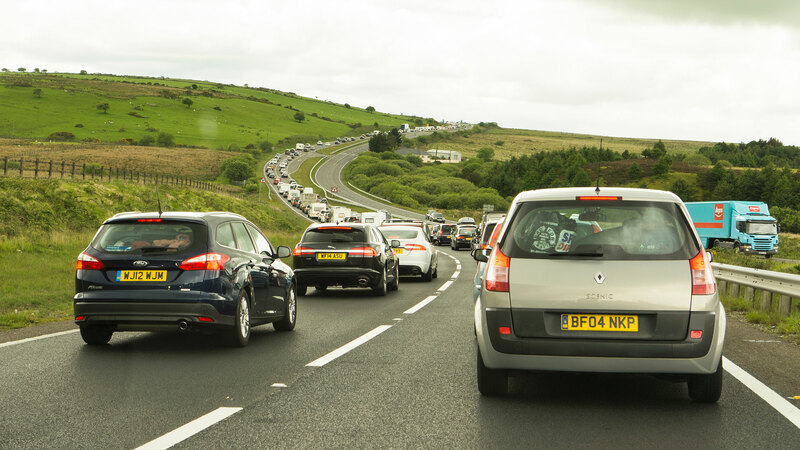 RAC Traffic Watch spokesman Rod Dennis said: “Our study of drivers’ plans for the late August bank holiday certainly suggests a bumper time on the roads as motorists make the most of the last long weekend before the end of the summer by jumping in the car to see friends or family. 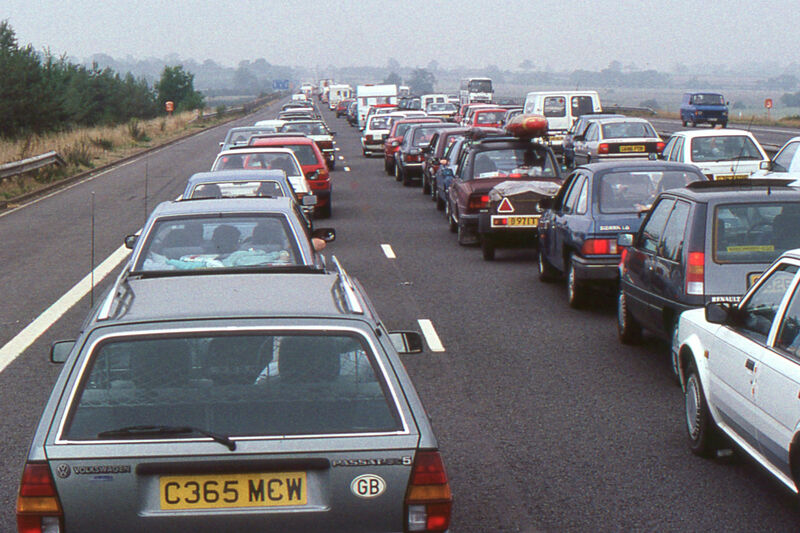 The warnings follow reports from the AA that traffic close to airports could peak in the week ahead of the bank holiday weekend, as holidaymakers attempt to squeeze in a getaway before the end of the school holidays. Last summer, Inrix recorded around 280 congestion incidents on motorways close to Heathrow during the week before the August bank holiday weekend. That compares to 210 in the first week of the school summer holidays in July. AA president, Edmund King, said: “We were surprised to see such a surge in traffic problems around airports in the week leading to the August bank holiday, assuming that the holiday season was likely to be tailing off then. “There is a clear warning to drivers heading to Gatwick or Heathrow for a ‘last hurrah’ summer holiday or a long bank holiday weekend abroad. They need to build extra time into their journeys to the airport and check traffic conditions before they leave. There is nothing worse than sitting in a traffic jam within sight of the airport, watching the minutes until departure tick away. These are the hotspots highlighted by Inrix, expected to be the most congestion over the weekend. The time in brackets is the expected delay. The RAC believes road traffic will rocket this weekend as schools break up for the summer with a staggering 14.4 million cars set to hit the road. Remarkably, that’s a full 5.4 million more planned car trips than in 2015, which has led the motoring organisation to predict ‘traffic overdrive’ between Thursday-Sunday. 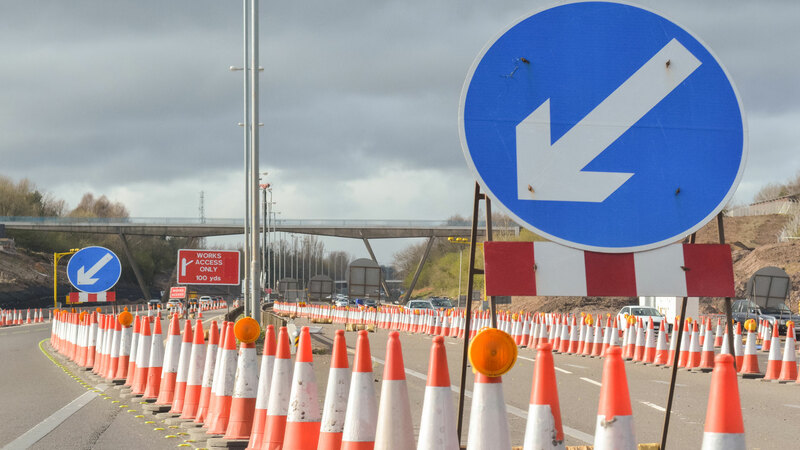 RAC traffic spokesman Simon Williams said: “Our data shows that the 2016 end-of-term rush for the roads is likely to be dramatically worse than last year’s. 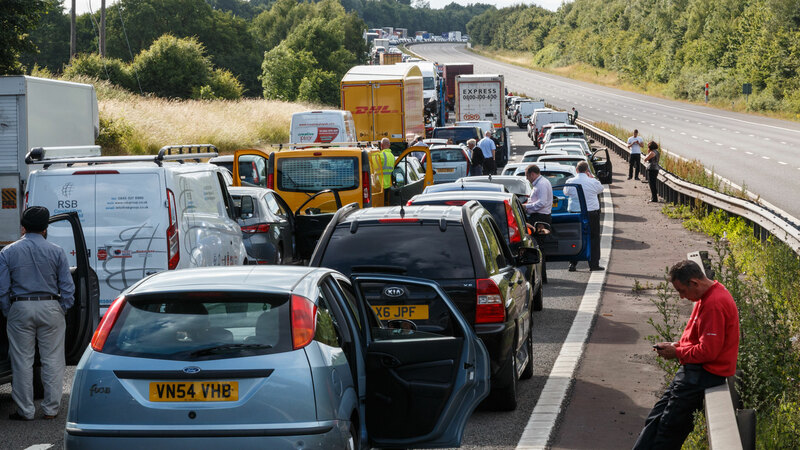 The RAC warns that 2.4 million end-of-term summer car journeys will take place on Thursday 21 July, rising to 3.3 million journeys on Friday 22 July. Saturday and Sunday will be the worst days though, with 4.5 million journeys on Saturday 23 July and 4.2 million journeys on Sunday 24 July – yes, Sunday is predicted to be barely any worse than Saturday. On the weekend, the worst times to travel will be between 11am and 4pm; on Friday, the traffic peaks will be between 4pm and 9pm. “If you are one of the 14.4m motorists heading for holiday this weekend from Thursday,” says Williams, “the best advice is to hit the road as early as you can. Avoiding peak travel times is not easy, but it can mean several less hours spent in the car. Ah, the joys of the open road. A grey ribbon of tarmac snaking its way through unspoilt countryside, leaving you to enjoy every gear-change and blip on the throttle. Bliss. Sadly, the reality is somewhat different. Ask anyone who has done the school run, or commuted to work at peak time or tried to get to Glastonbury and they’ll tell you that open roads are few and far between. Truth is: you’ve got to drive a long way to escape congestion. Indeed, as research conducted by Avis reveals, you’ll need to venture to the far corners of Britain to find traffic-free roads. Using official data from the Department for Transport, Avis has been able to pinpoint the quietest A-roads, defined by the lowest amount of vehicles per kilometre, per year. 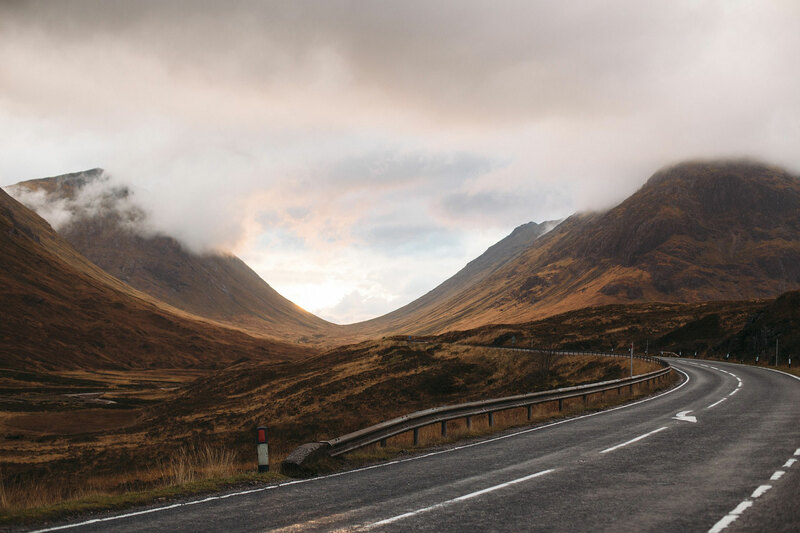 It won’t surprise you to learn that the quietest A-road happens to be in Scotland – more specifically the A897 in the Highlands. The 37.1-mile stretch of road makes its way from Helmsdale to Melvich and was formerly the B872. But before you pack your bags and head north of the border, hoping for an evocative drive through the Highlands, the A897 doesn’t get a particularly good write-up on the SABRE (Society for All British and Irish Road Enthusiasts) website. The A481 in Powys is ranked second – a 9.9-mile stretch that will be familiar to anyone who has visited the Royal Welsh Showground near Builth Wells. As SABRE points out, the road links the town with “nowhere in particular”, which might explain why it’s so quiet. Unsurprisingly, none of the A-roads on the list are located in the South, South East or West Midlands, but we’re sure locals will know of their own private rat-runs and roads far from the madding crowd. Avis conducted the research to promote the launch of its new Select Series – a collection of seven cars that give customers peace of mind they’ll get the exact make and model they’ve selected. Cars include the BMW 1-Series, Volvo V60 R-Design Lux Nav, Lexus NX 300h and Hyundai Santa Fe Premium. Of course, you don’t need an Avis rental car to experience these roads. An electric car would be more suitable – assuming you have the range required to reach these A-road outposts. Alternatively, only two new cars meet the standards set by Quiet Mark. One is the Lexus CT200h, the other being the Lexus RX450h. Shhh. https://www.motoringresearch.com/wp-content/uploads/2016/06/empty-road-Scotland.jpg 1200 1800 Gavin Braithwaite-Smith https://www.motoringresearch.com/wp-content/uploads/2018/12/mr-top-motoring.svg Gavin Braithwaite-Smith2016-06-22 14:23:132016-06-22 14:23:13Shhh: are these Britain's quietest A-roads? https://www.motoringresearch.com/wp-content/uploads/2016/06/empty-road-Scotland.jpg 1200 1800 https://www.motoringresearch.com/wp-content/uploads/2018/12/mr-top-motoring.svg 2016-06-22 14:23:132016-06-22 14:23:13Shhh: are these Britain's quietest A-roads? An impromptu football match on the M25 yesterday ended with a stern rebuke from Kent Police. The motorway was closed between junctions four and five in Kent after a coach fire and a separate accident involving a motorcyclist. Long tailbacks resulted, with some drivers leaving their cars and sitting on the central crash barrier. 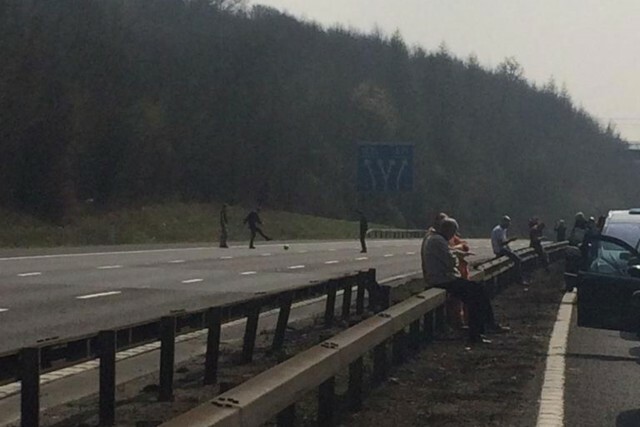 A photo posted by Sophie Shearer on Twitter shows three men playing football on the closed carriageway. She tagged the picture ‘#M25hell’. It led to Kent Police tweeting about the incident. Nobody was hurt in the fire, which completely destroyed the single-decker coach. The motorcyclist was airlifted to hospital by helicopter. Two teenagers had to be escorted back to their cars by police after getting stranded on the wrong side of the motorway when it reopened.